Artisan Roast, it seems, is taking over. Not content with being Scotland’s first specialty coffee roaster (est. 2007), they’ve also opened a satellite in Glasgow as well as supplying coffee to countless cafes across the country. In fact, the very first review on this site all the way back in November was of The Coffee Apothecary, serving Artisan Roast (and it was excellent). 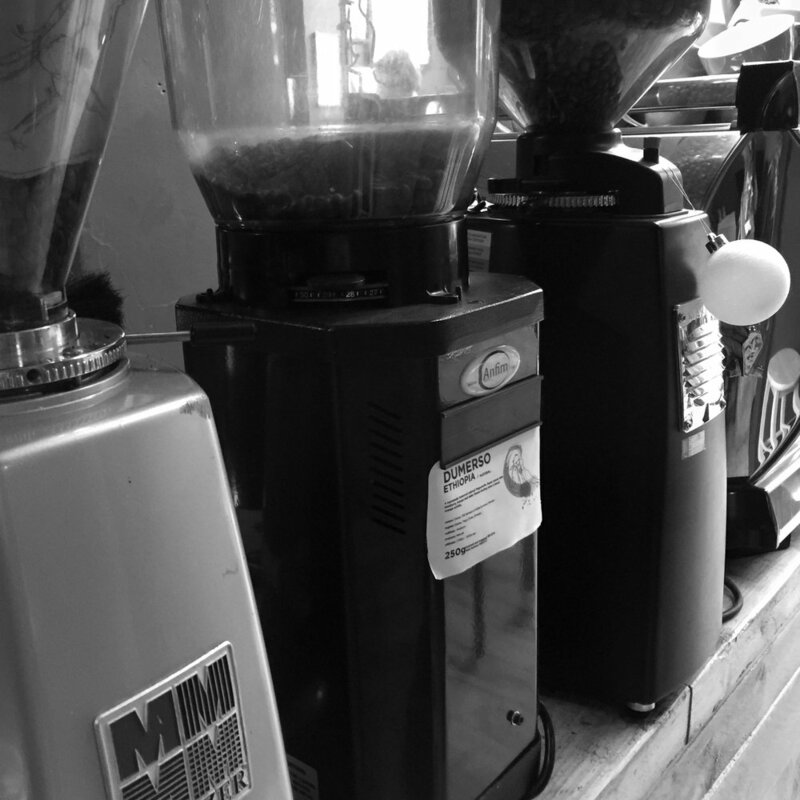 Stockbridge is the latest Artisan Roast location, opening in early 2015 in Edinburgh’s New Town. It sits snugly on Raeburn place, blending in to a typical British high street alongside wine bars, charity shops and “local” supermarkets. Barely two years old, it looks like it belongs. Big glass windows along the front of the cafe, supported by skylights in the ceiling, let in maximum natural light, making the most of the short winter days. The exterior facade is painted black, helping it stand out from Edinburgh’s sandstone unity. The interior has an appealing, rough-hewn feel, with bare wood floorboards, black and grey walls, and up-cycled furniture. It shares a noticeable design alignment with the other locations I have visited, but retains enough individuality to make it feel unique and give it character. The bar, straight ahead as you enter, is also simply constructed from unfinished wood and melds nicely with the floor. Atop it sits a shiny La Marzocco GB5 and assorted grinders, as well as the usual brewing accoutrements and soup carafes (they also have an ever-expanding food menu). Brewing equipment and beans are for sale at the entrance, encouraging customers to expand their coffee horizons at home - always a positive sign. In keeping with the original Artisan Roast on Broughton Street, Stockbridge has a vaguely labyrinthine feel to it, with various nooks and crannies that aren’t apparent from the doorway. It used to share this space with a florist - something that is evident from the painted sign above the entrance - and perhaps that explains the slightly irregular layout. It feels like they’re still trying to figure out how to fill the newly available space. The seating is eclectic, ranging from plush sofas to stools and outdoor seating (weather permitting, obviously). They even have two tables made from old cable reels. It serves to give the cafe a relaxed, welcoming atmosphere, which is another thing it shares with its sister locations. The baristas, too, were friendly, approachable and knowledgeable about their craft. 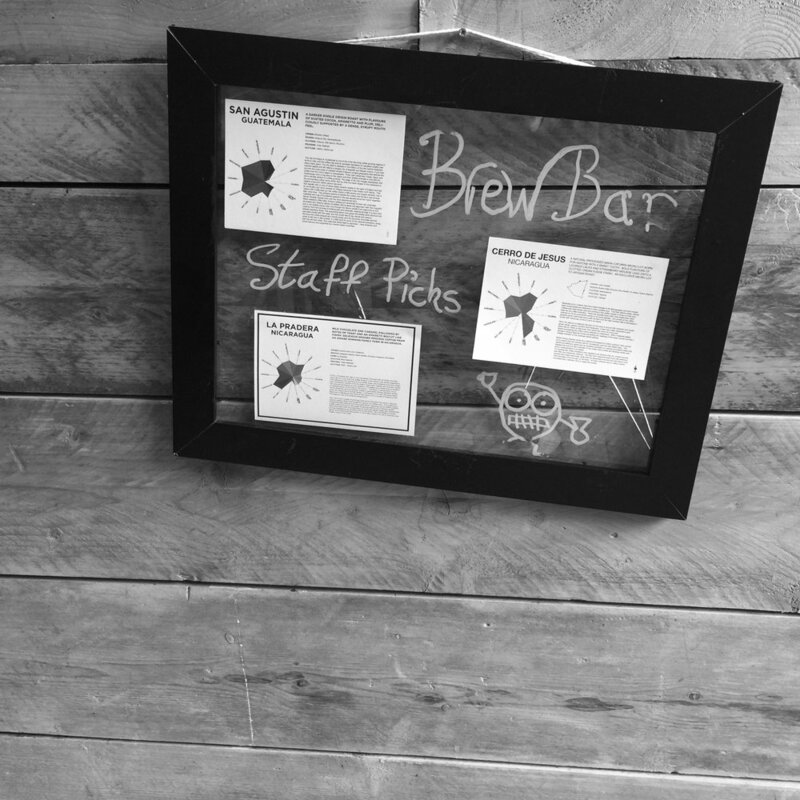 On the day I was there the brew bar menu was enticing, comprising a Guatemalan and two Nicauraguans, but in the end I was more interested in their espresso. I was happy to see that they use a blend for their espresso; it’s becoming increasingly rare for coffee shops to use blends, as the single origin espresso trend continues to take hold. I therefore had to try it. The Janszoon is Artisan Roast’s signature blend - made up of Indonesian and Brazilian coffees - and has been around as long as the company itself. Needless to say it was outstanding: balanced, smooth, and with real depth, with cocoa and hazelnut notes and a tart cherry finish. There’s something about the thick, moussiness of an espresso blend that I find particularly satisfying, and the Janszoon’s texture was deliciously creamy and rich. Artisan Roast are deservedly recognised as one of Scotland’s top roasters, and their cafes help to justify that praise and introduce people to their coffee. Consistent, welcoming and always distinctive, they also never fail to supply a superior cup of coffee. Wherever you are in Edinburgh, you’re sure to be close to one of their locations. Seek them out; you will not leave disappointed.